Why would someone spend three years remaking songs from their last album? Berlin based, UK native, Lukas Creswell-Rost just couldn’t let a few ideas slip by. Before he knew it, he was assembling another album bound together by the same themes of ambition and failure as his well received 2014 release, ​Go Dream. Some old words with new melodies, some old chords with new instruments and brand new songs emerging from experiments. Not that Gone Dreamin’ is a remix album. It's more of a reimagined album, with a few subtle nods to its predecessor. From the loungey bossa-nova of ‘Here For Me’, to the drone infused, supercharged 80's pop stylings of ‘Here In Hollywood’, the Reichian acoustic guitar on ‘What More’, to the lo-fi fingerpicked folk of ‘Cocktails’; the album melds together as something of a pop soundscape. Held together by familiar elements of wobbled four-track textures, found audio notes mumbled to himself on his phone, interwoven guitars, out of control drums & drum-machines and sounds bursting from the seams - the album melds together as something of a pop soundscape. Released as a run of cassettes, it is a fitting format considering that much of the album was in some way recorded on, or pushed through, a four-track cassette machine. Recorded, mixed and played by Lukas Creswell-Rost. Drums played and recorded by James Yates. Piano on ‘What More’ by James Yates. Backing Vocals on ‘Here For Me’ & ‘Here In Hollywood’ by Emaline Delapaix. French Horn on ’While To Wait’ by Alison Young. 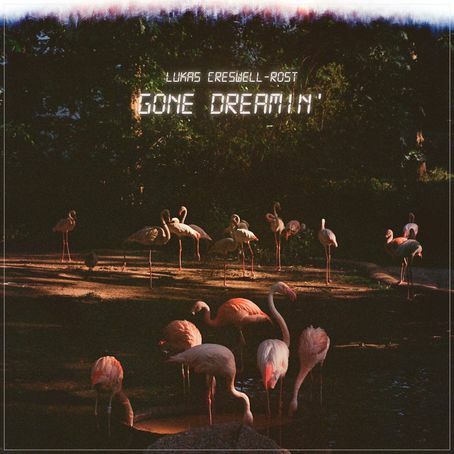 Songs by Lukas Creswell-Rost. Artwork cover by Joe Villion. Available as Cassette and Digital Download.